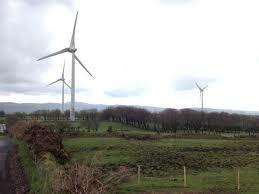 The Northern Ireland Department of Agriculture and Rural Development has again joined forces with the Ulster Farmers Union and Agri-Food and Biotechnology Institute to provide practical information for farmers and the rural sector about the various renewable energy options available for their businesses. The follow-up event at the Enniskillen Campus will also be held in February 2014. There will be a series of seminars throughout the day highlighting local case studies of the main renewable energy technologies; wind power, biomass production and utilisation, biogas production, solar hot water and PV, micro-hydro and heat pumps. A second series of seminars will deal with many of issues facing those considering installing a green energy source. Topics covered will include the proposed renewable heat incentive, grid connection, planning, NI Renewable Obligation Certificates (NIROCs), marketing NIROCs as well as finance, business planning and funding options. In addition, there will be a trade exhibition and the opportunity to tour the renewable energy installations at Greenmount Campus. If you are interested in exhibiting in the trade stand area, please contact [email protected].